The Legal Resources Centre (LRC) in South Africa has secured a significant breakthrough after the High Court in Mthata ordered the Minister of Basic Education to set up a “furniture task team” for Eastern Cape schools. The task team is intended to remedy long-standing deprivations of the right to education caused by the failure to supply basic furniture needs. It is mandated to audit the furniture needs of schools in the province and supply all furniture required by April 2017. The order was made by agreement between the Minister and the Centre for Child Law (CCL), which was represented by the LRC. It is the fourth court order in the Madzodzo v the Minister of Education case, which was brought in response to the school furniture saga that has been plaguing the province for years. Since August 2015, the Center for Economic and Social Rights (CESR) has partnered with the LRC to monitor implementation in this case. This has included sorting, collating and analyzing the enormous amount of data presented by the Eastern Cape Department of Education (ECDOE) during several rounds of litigation. Our research revealed that approximately R300 million (US $19 million) had been allocated to furniture production and delivery since the start of the litigation—resulting in the delivery of more than 200,000 units of furniture for schools in the Eastern Cape. Nevertheless, many schools continue to face severe shortages. 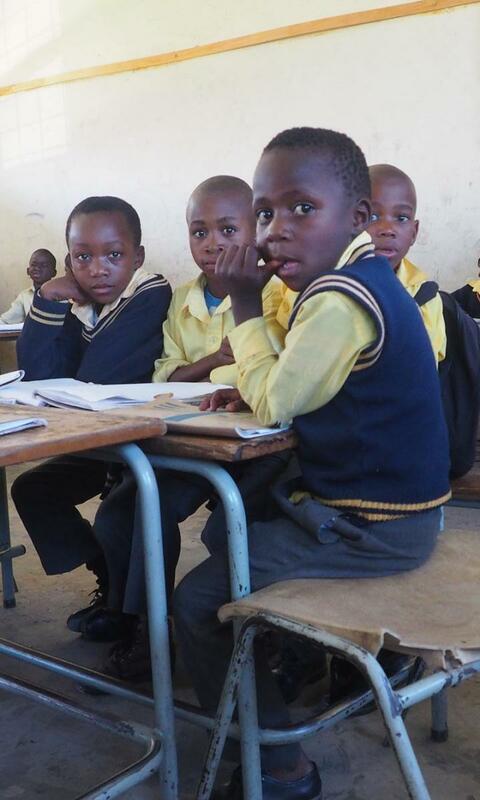 Almost two fifths of the province’s 5,700 schools needed furniture, according to one list compiled by the ECDOE in 2014. When so many students sit on the floor, on makeshift seats made from bricks and paint tins, or with four sharing a desk designed for two, it is hardly surprising that the Eastern Cape Province has one of the worst final year pass rates in the country. Drawing on OPERA, our framework for monitoring economic and social rights compliance, we also worked with the LRC to dig deeper into the systemic dysfunctions that had hindered efforts to comply with the court order. As summarized in a short LRC Factsheet, a substantial amount of additional information is needed to understand the scope and scale of the problem – there have been five attempts to audit furniture needs in the Eastern Cape, but the data produced has been seriously flawed – and to properly evaluate the procurement processes undertaken to date. In particular, there is a pressing need to track those deliveries that have been made and the resources that have been disbursed. Having a better understanding of these issues gave the LRC a strong basis to argue for heightened oversight of the department’s compliance with its obligations in the case and to offer constructive, evidence-based recommendations to the department about the steps it needs to take to do so. The new court order is significant in the detailed obligations it sets out for the Minister. The furniture task team appointed by the Minister must prepare a consolidated list with specific details about the furniture needs of all public schools in the Eastern Cape. This list will need to be verified by August 2016 and the Minister is required to ensure that those schools needing furniture receive age and grade appropriate furniture by April 2017. The Minister must also report to the court every 90 days, providing updated data about current shortages; describing steps taken to procure furniture, including budget allocated and orders placed; and supplying evidence of deliveries made and a timetable for deliveries scheduled. In 2014, Judge Goosen handed down a judgment in Madzodzo ordering the Minister to respond to the endemic furniture shortages in the province. That judgment was significant in its reaffirmation that education is an immediately realizable right and that adequate provision of classroom furniture forms part of that right. It also highlighted that resource and budget constraints are not an acceptable excuse where a constitutional right is being violated. While the 2014 judgment directed the Minister to deliver all furniture required by schools in the province by May 30, 2014, the court also gave the Minister an opportunity to approach the court for an extension of the timeframe. The court order handed down last week is a combination of the Minister’s application for an extension, and the CCL’s counter application for systemic relief. All too often court victories, however hard fought, do not mark the end of an injustice. If rulings handed down by judicial authorities are not properly implemented on the ground, the transformative potential of litigation in advancing economic and social rights is undermined. For this reason, CESR is working to foster greater synergies between litigators and monitoring experts. “Monitoring the implementation of judgments and settlements is a major challenge of our work”, noted Cameron McConnachie, attorney at the LRC. “In exploring the role that OPERA could play in meeting this challenge, partnering with CESR has prompted us to think more comprehensively about the type of data needed and more creatively about the tools and approaches we use to collect it”.